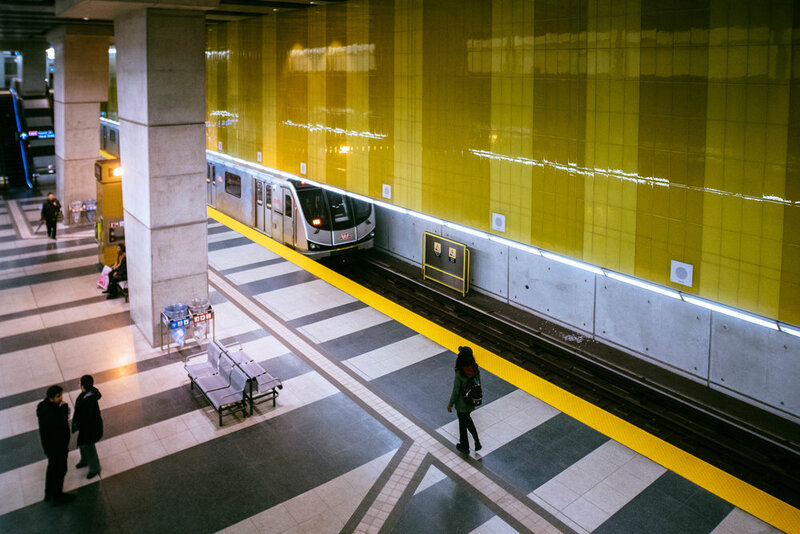 Far from the bright, open concept design of Downsview Park station, Finch West is characterized by darkness — like most other stations, it is completely disconnected from the natural light outside. 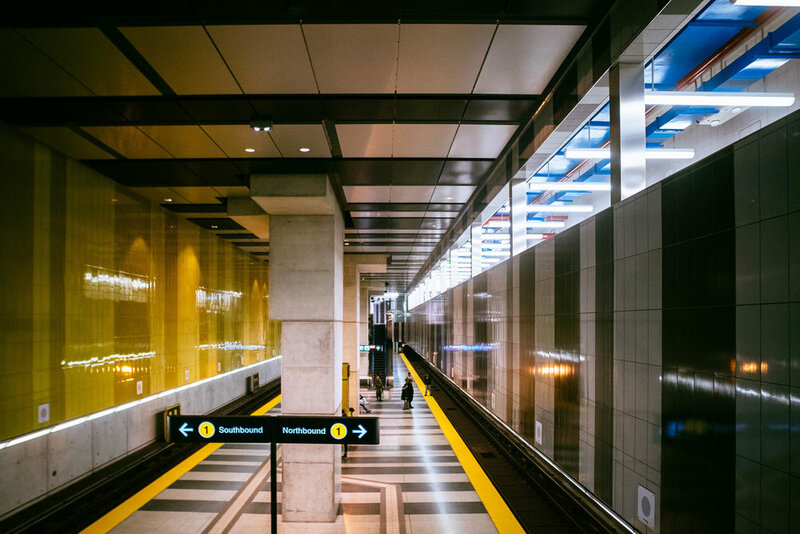 The far end of the platform is covered by a low ceiling with horizontal bars that give an almost-cinematic look when viewed head-on. The main way up to the second floor is through a corridor that sits overtop of the Northbound track. 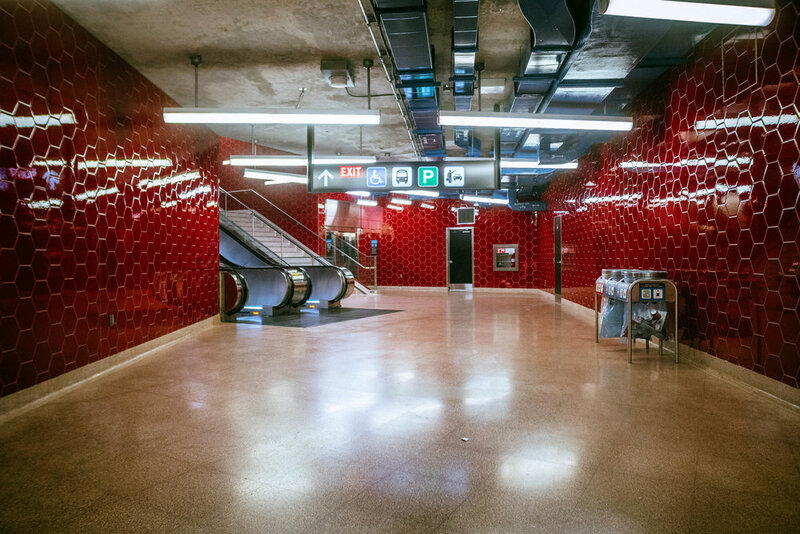 A further crimson-red hallway leads up to the bus connections and parking, while the starkly coloured main hallway gives an overlooking view of the platform. It’s easy to get stuck watching the trains and passengers filter in and out from above. 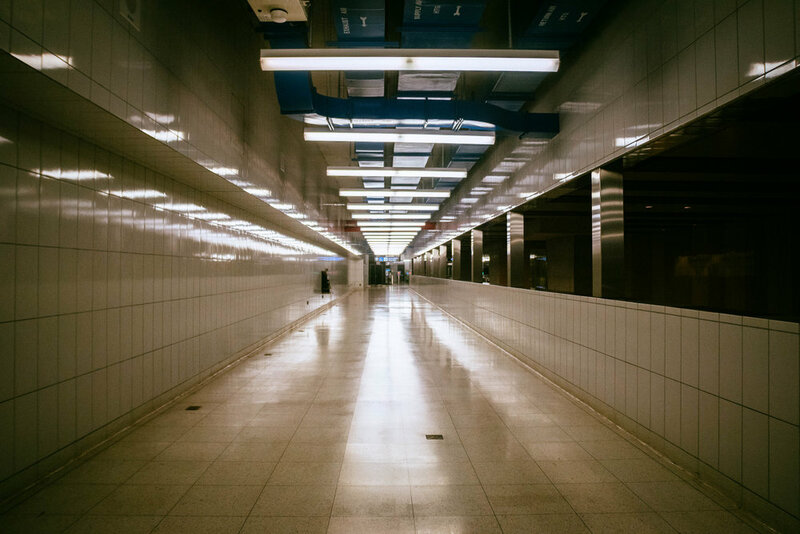 The next station is York University.